Who is ready to have some fun…. 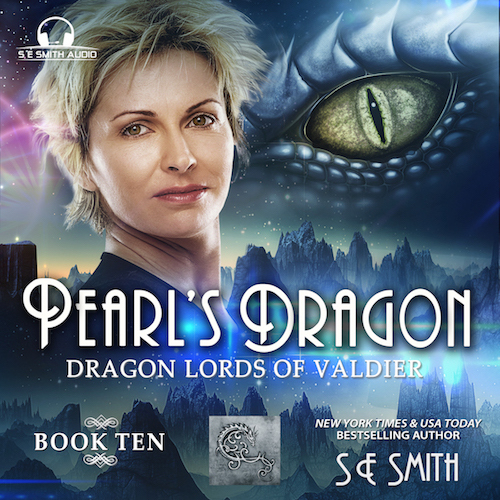 and see what Grandma Pearl is getting up to?! 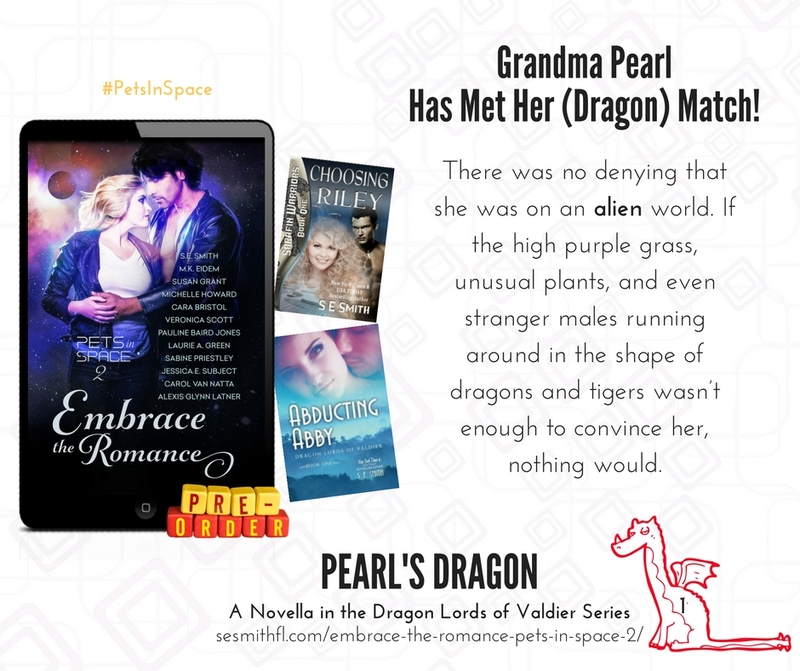 As you know, Grandma Pearl’s story is coming out in Pearl’s Dragon in the Pets in Space 2 Anthology on October 10th and she is every bit as feisty and funny as you would expect. 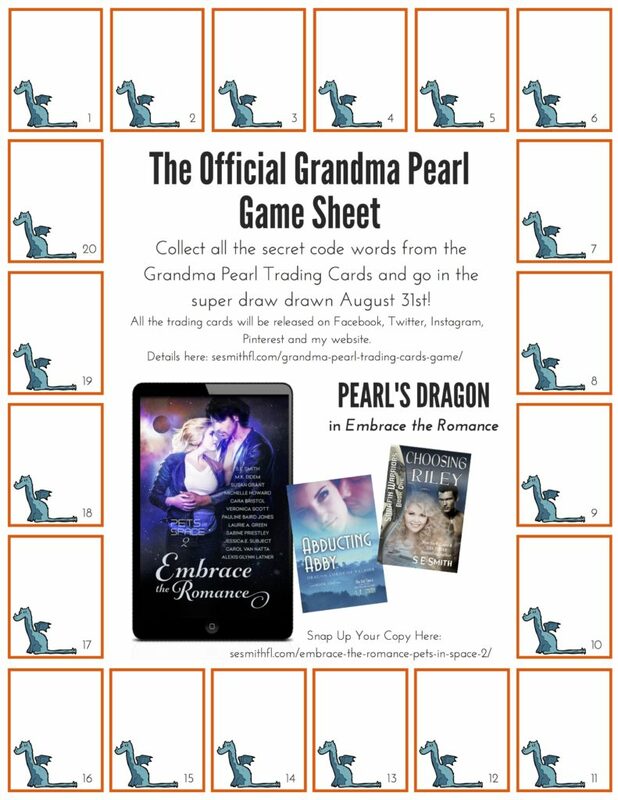 I will be sharing awesome trading cards for Grandma Pearl with you during August and I will be giving away one main prize to those who collect all the secret code words. There is one secret code word per trading card…. although not really secret as the code word is emboldened on the card lol. Collect all the secret words from all 20 Grandma Pearl Trading Cards to go into the super draw at the end of August 2017. You will know which number trading card you have because of the number in the dragon on the lower right hand side of the card. I will give you the link to enter the super draw after Card No.20 has been released. The game will be completed by August 31st, 2017. I will be having fun surprise draws as we go so collect the words as the cards are released as time will be limited for these surprise draws. Complete sets of all the trading cards will be appearing on Facebook, Instagram, Twitter, Pinterest and on my website. You are not required to sign up to follow me on other social media sites to see all the cards. You are not required to buy anything to go in the surprise draws or enter the super draw. 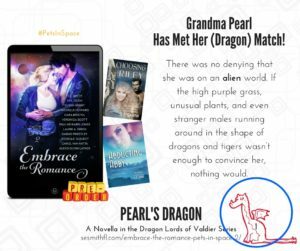 Grandma Pearl’s Trading Cards are all about having fun and getting to know Grandma Pearl.